Rubber has been an integral part of our lives for a really long time now. 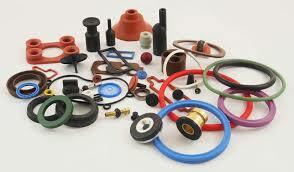 There are a plenty of rubber product manufacturing companies and Lusida Rubber Products is one such firm. At Lusida Rubber Products Inc, there are wide and varied rubber products that are immensely useful for various purposes. They make products out of solid as well as sponge rubber as per the specifications given by the client. Even standard products are manufactured but customization is also their forte. Affordable pricing and timely delivery are attributes that can be easily given to Lusida. The firm also gives the assurance of great product quality. The products that Lusida Rubber Products company has expertise in manufacturing are O-Ring, grommets, washers, bushings and oil seals to name a few. There is a lot more. Lusida always makes products using materials that are approved by FDA much to the happiness of prospective clients. Lusida Rubber Products has a corporate office in the US in Los Angeles where the customer care and shipping department function from. In China, there are three facilities of the company. Having an office in the US has made things easy for US-based businesses as they can easily reach out to the team of the company and make the necessary enquiries. Lusida Rubber Products is a manufacturing company in China with their corporate office in the US. They manufacture a number of different rubber and related products and give the surety of competitive pricing, high quality products and timely delivery. The materials used are FDA approved.